http://newiprogressive.com/images/stories/S5/mccabe-talks-people1-s5.jpg Governor's new budget plan will cut taxes for hard-working Wisconsin families by 10 percent without adding to the deficit. 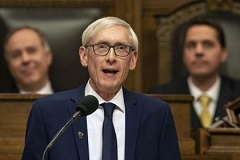 MADISON - Governor Tony Evers announced Tuesday that his budget will include a responsible tax relief plan that will cut taxes for hard-working Wisconsin families by 10 percent, expand the Earned Income Tax Credit, and end a costly tax giveaway to millionaires—without adding to the deficit. Under the Evers plan, middle-class families with a Wisconsin adjusted gross income (WI AGI) below $80,000 for single filers and $125,000 for married-joint filers will receive a new nonrefundable credit equal to 10% of the remaining tax liability after all other credits (besides the credit for taxes paid to other states). The Evers plan will also expand the Earned Income Tax Credit (EITC) for families with one or two children. Beginning with tax year 2019, the credit rate as a percentage of the federal credit for families with one child will nearly triple, from 4 percent to 11 percent, and the rate for families with two children will increase from 11 percent to 14 percent. Increasing the credit for those categories brings Wisconsin closer to parity with the median EITC provided by other states. 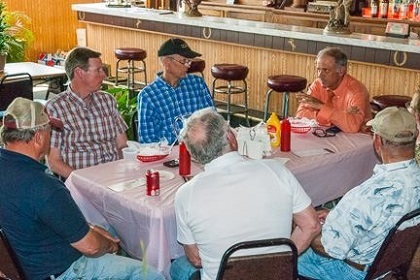 In addition, the Evers plan will rollback a Republican giveaway to some of Wisconsin’s highest earners by capping the Manufacturing and Agriculture Credit (MAC) for manufacturing claimants. Agricultural firms would continue to have the credit as it exists under current law. As of October 2018, the nonpartisan Legislative Fiscal Bureau estimated that 79 percent of the MAC goes to individuals with adjusted gross incomes of over $1 million. In 2019, 21 individuals with an adjusted gross income of $30 million or more a year are estimated to receive $38.9 million in tax breaks (an average of $1.8 million each). The Wisconsin Budget Project estimates that the MAC will have cost the state more than $1 billion by the end of 2019.